SCRIP is a term that means "substitute money". When you purchase SCRIP, you're purchasing negotiable gift certificates and prepaid cards that are used just like cash. You can use SCRIP to purchase items for everyday expenses such as groceries, gas, clothing, toys, gifts and other essentials. You can also purchase SCRIP for hundreds of restaurants to use when dining out. With every purchase, you earn revenue for St. Joseph Catholic Church and School. SCRIP cards are purchased dollar for dollar, which means that if you purchase a $25 gift card, it is worth $25 in cash at the establishment for which it is purchased. Our parish receives a percentage of each SCRIP card purchased. 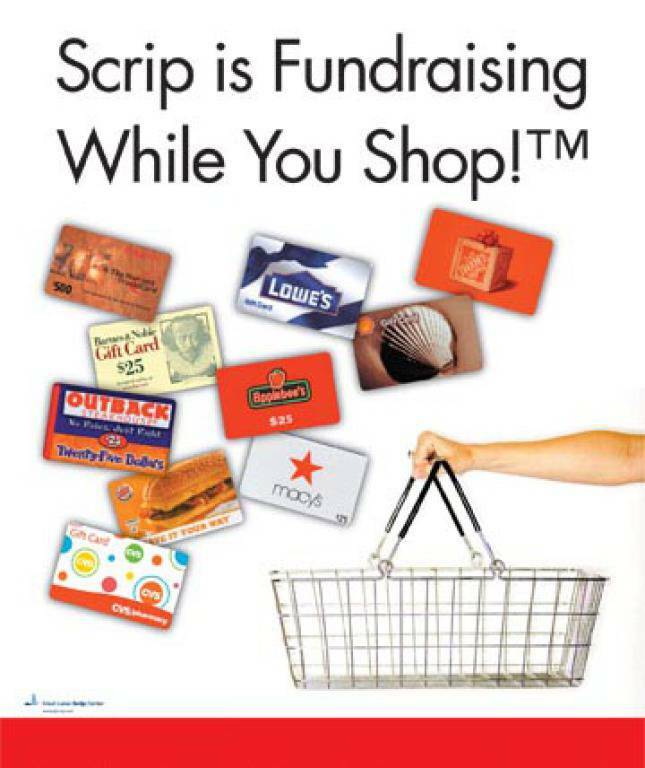 When you use SCRIP gift cards instead of cash, checks or credit cards at your favorite retailers, you're fundraising as you shop! When and where can I purchase SCRIP? Volunteers are located in the school library after each weekend Mass to sell in-stock SCRIP and take orders for SCRIP not in stock. SCRIP cards are ordered on Sunday evenings and are available for pick-up on the following Thursday. SCRIP is also available in the school office during the school year and the parish office during summer and school holidays. Pay when you order online and SCRIP is sent to St. Joseph for pick-up. Scrip Now! E-Scrip available for immediate use. Great for unplanned purchases and restaurants. For example: if you decide to eat out, use your smart phone to order E-Scrip and have it available before the end of your meal to pay the bill and support St. Joseph! Reload. You can reload the plastic card you have already purchased. Can purchasing SCRIP help with school tuition? Yes! 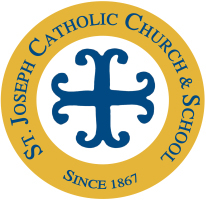 If you have a student at St. Joseph (or would like to support a student at St. Joseph), with every purchase of SCRIP, the rebate given by the retailer will be split 50/50 between the parish and the school family.. When ordering SCRIP, the buyer needs to list the school family they would like to support.